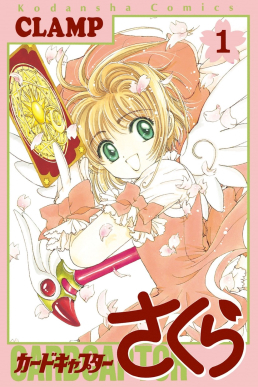 Back in my last post in manga reviews, I had given clues for this one – Cardcaptor Sakura by clamp. It is also referred as CCS or Cardcaptors. As I said this is a Shojo manga and it is obviously evident from its writers and illustrators -> Clamp. Clamp is an all female manga artists group managed by Nanase Ohkawa. CCS won prestigious Seiun award for best manga in 2001. So lets do it in our regular way as we have done it for the first 3 reviews. Shojo – So what is shojo? Just like I explained that Shonen, Senin etc are manga categories as per target audience, shojo is same. Shojo mangas are targeted towards teen girls. Just like shonen, shojo mangas also explore adventure themes but since the protagonist is a girl they differ in illustrations. e.g. Bleach (which I have reviewed here) has more bloodied action which majority of boys like while girls need less bloodied action. Taking it further shojo mangas explore romantic themes in more detail than shonens. Thus, you can expect a light action romance in these mangas. Though I warn readers that this balance is pretty delicate to handle and my primary reason for not reading too many shojo mangas -> as this imbalance makes the story too cheesy and sometimes, if I may use the word, horny. Clamp – I mentioned clamp in the introduction. Clamp is as I said an all female manga artists group. Their leader Nanase Ohkawa is responsible for most of the storyline work while notable illustrators are Mokona, Tsubaki Nekoi, Satsuki Igarashi. Their other famous work is RG Veda (to be pronounced as rigu veda) which one of the very few shojo mangas that I liked. Plot focuses on Sakura Kinomoto, protagonist of the story. Sakura one day accidently breaks a seal and releases something called as Clow Cards – basically magical tarot cards. The seal’s guardian Cerberus aka Kero (a sweet kitty, before transforming into a tiger like figure) informs Sakura that they are powerful objects created by magician Clow Reed and now it is her responsibility to recapture all 19 clow cards. (Note : those who have watched this as anime, animators extended the original plot and increased the no. of cards to 52. Additionally Sakura creates a 53rd card, but in the original storyline Sakura is incapable to do so.) Most of the first half deals with Sakura’s adventures while capturing the cards by battling to their magical persona. While on the line we are introduced to Sakura’s family and friends, most notably her brother Toya Kinomoto. On the run she is joined by another cardcaptor from Hongkong, Syoran Li who later becomes her love interest. First half concludes with Sakura’s battle with her brother’s friend Yukito Tsukishiro, who in fact is the second guardian Yue, to prove herself as the true card master. CCS presents a slightly cliched but decent storyline. It is in the long list of magical girl stories made popular by Sailor Moon but has its own flair. There are no mind bending stunts or twists or action scenes but whatever is presented it is done with finesse. Sakura comes as a strong female protagonist (something which is quite rare) and overall is lovable. My favorite character is Li; he forms a perfect foil to Sakura in first half and then the character is beautifully developed to rival Eriol in second half. While overall characters are neatly written and show a consistent behavior there are some unnecessary subplots which may not be liked by everyone. Agreed, this is a manga for girls but there was no need for Sakura-Yue love angle. Also, the relation between Yue and Toya is homosexual. Again there was absolutely no need for that. In general speaking Yue is my least favorite character of the series. Clamp does a beautiful job in illustrating romance in the story. Detailing in Sakura-Li scenes is beautiful. Special thumbs up for design of all Clow Cards. And also for Kero. Though I admit it was awkward for a greek mythology fan to see this (cute) version of Cerberus; but then one gets used to it. The best illustration according to me is of Spinel Sun. Definitely full points for illustrations. I would like to note though that the illustrations are likable but the impact of them might be different. e.g. someone will find Eriol as a dream guy while (someone like me) will find him as a badass. CCS is primarily for girls. Boys won’t enjoy it much unless you like to read romantic stories featuring light comedy and light action. I will be giving 2 ratings for it. One for romantic action lovers and one for others. For those like this genre – 75/100. It is a very good choice for you. Won’t say must read as has its own glitches but definitely recommended. For those who do not – 46/100. Do not really push yourself. You may read first few chapters and then you will start unnecessarily cursing it which it does not deserve. Overall I will say a 60/100 -> basically OK manga. May have a look but unless a genre lover, hard to get hooked into. So to conclude highly recommended for romance lovers, and for those who don’t; just don’t bother and move onto next.